YACON – the ancestors of the Inca already valued this root as a healthy and nutritious food. YACON has a pleasant sweet taste and is used mainly in smoothies, mueslis and baked goods. 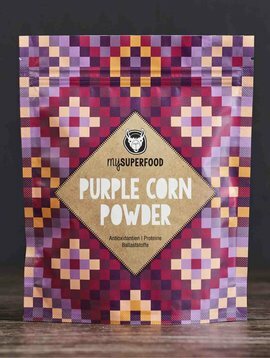 We buy our organic YACON powder directly from producers in Peru: It is cultivated in a controlled organic environment outside of the old Inca capitol of Cusco on small family farms at an altitude of over 2,500 meters. 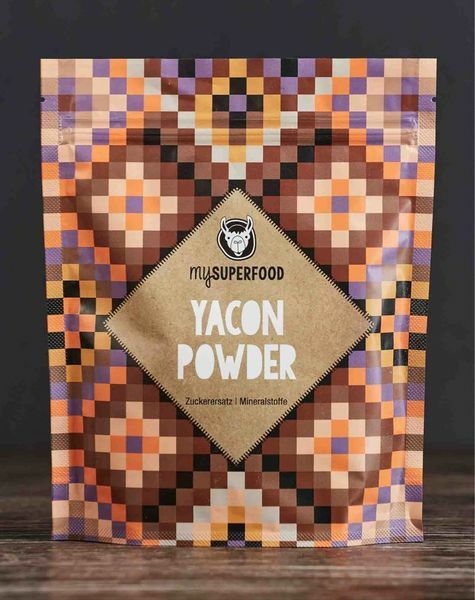 Yacon root is harvested by hand and afterwards processed very gently. Yacon contains a number of valuable ingredients: fructose in the form of fructooligosaccharids (FOS), several minerals, such as calcium, potassium, magnesium, sodium, phosphor, and iron, as well as important vitamins B1, B2 and C.
The Yacon plant contains a very high fructose content (75 % of the dry substance), which is mainly present as inulin and has a positive impact on blood sugar, cholesterol, and uric acid levels. Inulin is an insulin dependent fiber and improves, e.g. the absorption of calcium. As inulin cannot be digested, it promotes intestinal activity along with fructooligosaccharids (FOS). 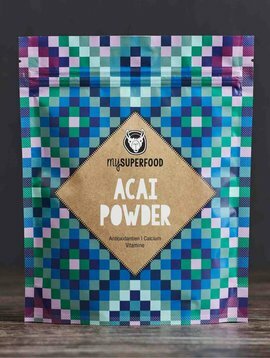 It acts prebiotic and positively impacts the intestinal flora, since the sugar molecules cannot be broken down by enzymes, but serve as nutrition for intestinal bacteria. 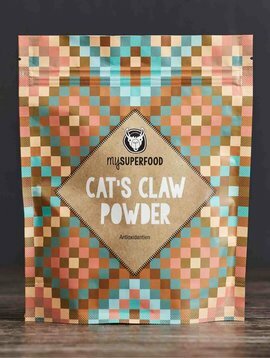 This enables the body to better receive important nutrition from vitamins and minerals. Because it fills and reduces appetite, Yacon can help to loose weight. It also has half as many calories as e.g. granulated sugar. 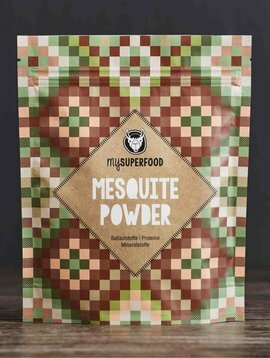 The heart function also profits: The high content of potassium supports the heart, as it relaxes the blood vessels and supports the cardio-vascular system. Liver function can also be improved with Yacon, as the root counteracts fat accumulation in the liver. Additionally, Yacon leaves are used in the production of cholesterol-lowering medications. 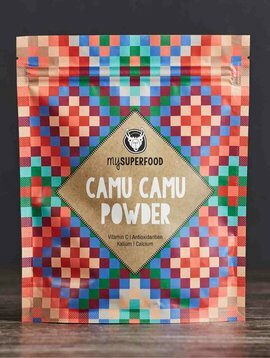 We buy our organic YACON powder directly from producers in Peru: It is cultivated in a controlled organic environment outside of the old Inca capitol of Cusco on small family farms at an altitude of over 2,500 meters. 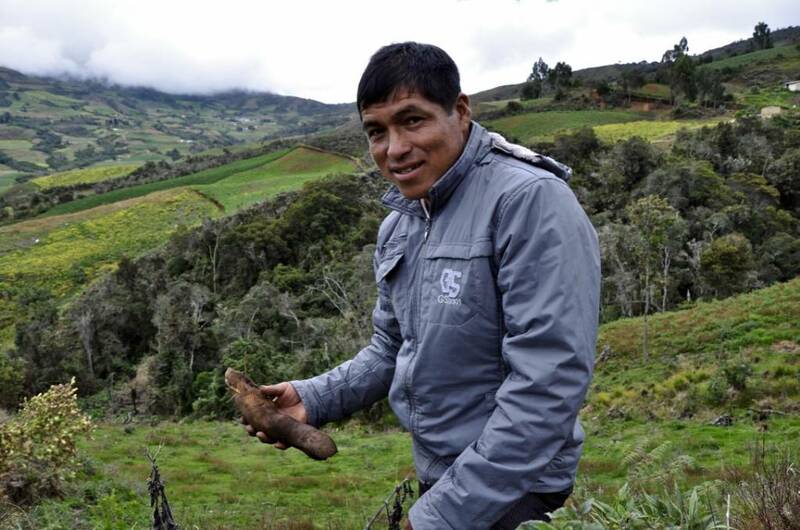 Yacon harvest is done by hand: the up to 30 cm long roots are carefully pulled together with their leaves from the ground - taking care that the roots do not break. 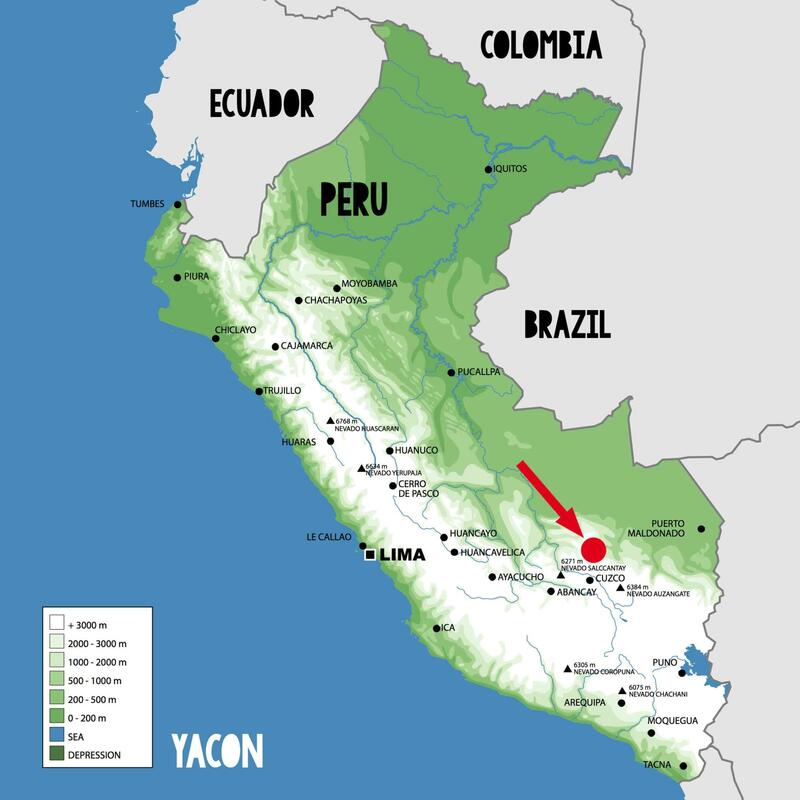 The Yacon roots are transported in airy boxes to the nearest production facility. Once they arrive they are sorted and washed. 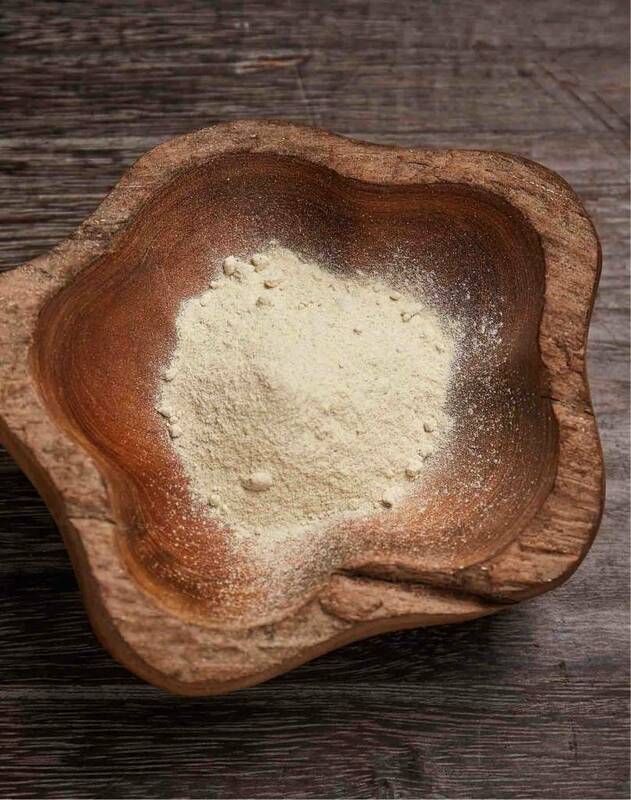 Only the best quality is used for production of Yacon powder. Finally, Yacon roots are shelled and cut into slices to allow for better drying. After gentle drying the yacon slices are ground into powder. 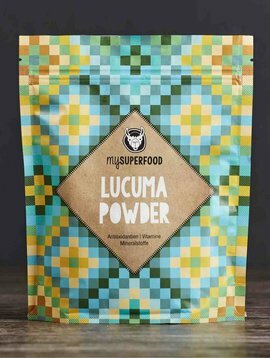 The Yacon powder is now ready for distribution. 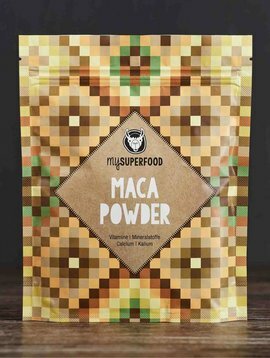 Due to its intense sweetness, Yacon powder is excellent for fruit salads, mueslis, or any type of smoothie. As a healthy alternative to sugar it can also be used in baked goods. Sprinkle on top of dishes or mix in and enjoy ! 1 - 3 x daily sprinkle or mix 1 teaspoon (abt. 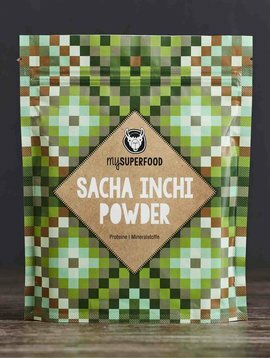 4 - 5 g) organic Yacon Powder into dishes. Yacon (Smallanthus Sonchifolius) grows to be 1 to 3 meters high and is yellow-orange during blowwom. The herbaceus Yacon plant comes from the sunflower family and grows mainly in warmer areas on rich soil. 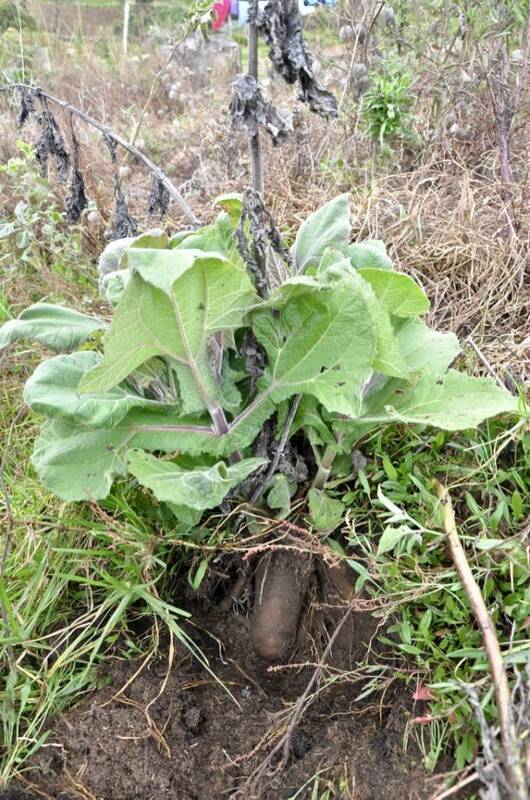 The eatable roots of the yacon shrub are up to 30 cm long and 10 cm thick. Each yacon bulb develops from 5 to 20 root tubers. 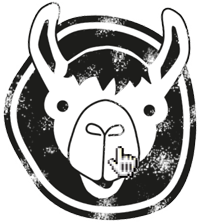 The yacon bulbs have been used by the Andes inhabitants of Peru as a healthy food for centuries, and are traditionally eaten raw or cooked. Raw they are crunchy and sweet and remind of pears or apples.